A fare increase approved by the NICTD Board will take effect on Sunday, July 1st. The new fares represent a 5% increase rounded to the nearest quarter ($0.25). Check out mysouthshoreline.com for a complete list of new fares. The changes will apply to all fare types, beginning with July monthly ticket sales, and apply to all stations except Hegewisch. 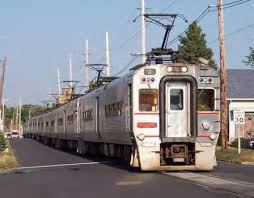 Metra controls Hegewisch fares and approved an increase effective Feb.1st. Due to the implementation of Positive Train Control (PTC) over the next year, the South Shore Line fare increases are a necessary means of supporting the PTC safety upgrades and improvements required by federal mandate.